Makeup Revolution is a brand I had heard quite a lot about so when I visited my local superdrug (which now isn't all that local) I decided it was about time I tried some products from their range. 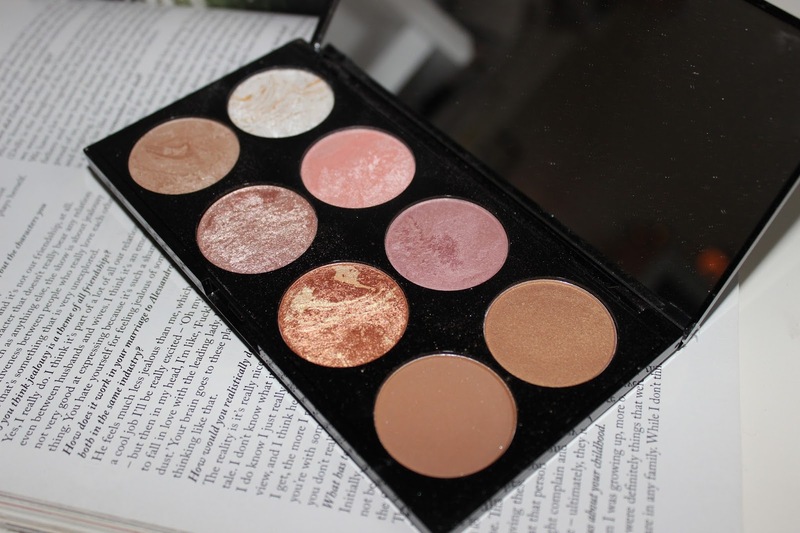 Makeup Revolution blush palette in Golden Sugar, I can't quite believe how pigmented this is for just £6 for 2 bronzers, four blushes and two highlighters! 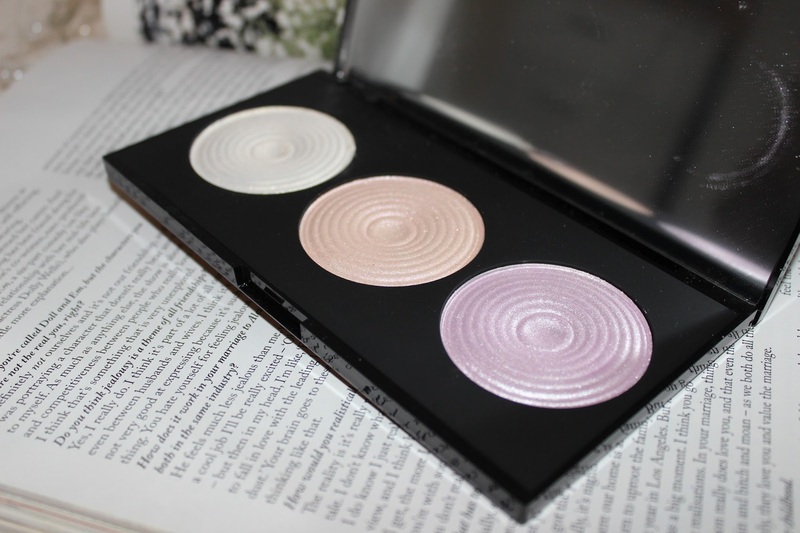 Personally I've been using the white highlighter and light pink blush the most and I honestly love them! I love that this palette has everything you need all in one place making it a great product to take on holiday. The packaging isn't my favourite as it is quite big but for the price you really can't complain, I like that it has a big mirror in the lid to. Secondly I also tried the Makeup Revolution priced highlighter palette at £8 for three highly pigmented highlighters you really can't go wrong, I really like the texture of these highlighters they are so smooth and glide on the face amazingly. This contains shades golden lights which is my favourite, peach lights and pink lights. I honestly couldnt recommend these products enough, if you've never tried Makeup Revolution before then I definielty recommend you do. They are avaliable online and instore at superdrug. I absolutely adore all of Makeup Revolutions products! They are such amazing quality for the price! I love Makeup Revolution products. I have lots of their eye shadows. I really love experimenting with their products and they aren't too expensive either. You have a really lovely blog! One of my favourites!